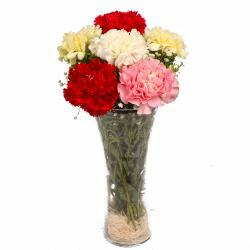 Product Consist : 6 Yellow Carnations with Green Fillers nicely arranged in a Vase. 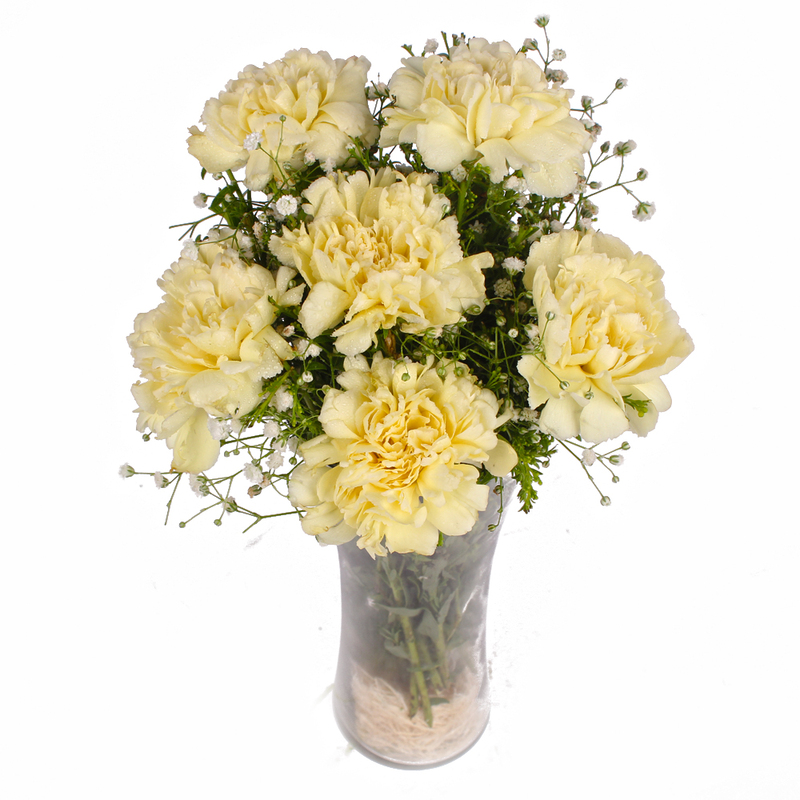 Give a wonderful surprise to your family and friends with this Yellow Carnations. 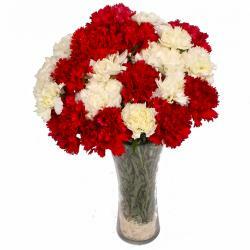 It consists six yellow carnations of arranged neatly in a glass vase. They look fresh and will definitely make the recipient smile. They can be gifted on weddings, anniversaries, house warming parties, graduation ceremonies and engagement parties. 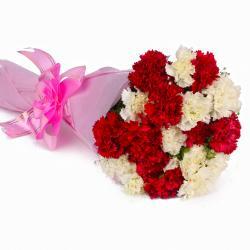 The bouquet can be used as an added gift with another present as an expression of your love and warm feelings. 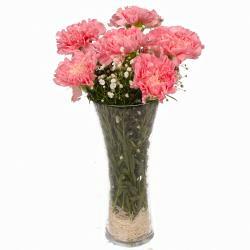 Product contains : Six Yellow Carnations with Green Fillers nicely arranged in a Vase.